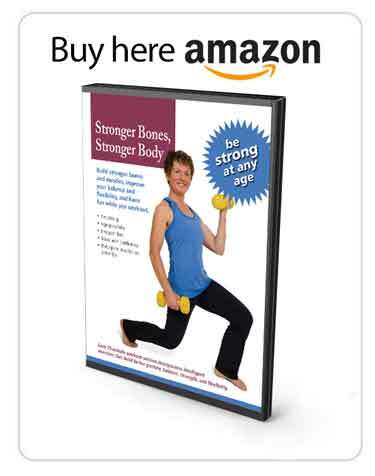 The alternating leg lifts prone exercise is one of the Beginner level Strength exercises in the Exercise for Better Bones program. 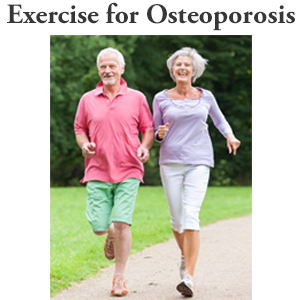 It targets the hamstring, buttocks and lower back muscles and the hip and spine bones. Alternating leg lifts exercise in prone position for beginner strength level. With any of the exercises where you’re lying on your stomach, except for the stretches, use a pillow under your pelvis so that when you lift your leg or you lift your torso, you’re just coming to a neutral position. With this exercise, you have an option of either resting your hands under your forehead or you can use just a small, rolled towel. Position yourself, and then use the towel, and your arms down by your sides. 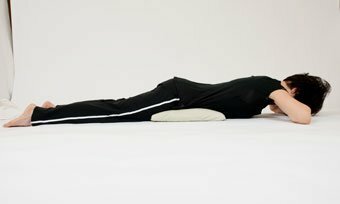 Take a nice breath in, gently press the front of your pelvis into the pillow, squeeze your buttock, and lift your leg. Breathe in, gently press the front of your pelvis in, squeeze your buttock, and lower. Breath in, you want to really think about squeezing and lifting, two, and back down. One more time. Breath in, and squeeze, and lift, two, and lower. 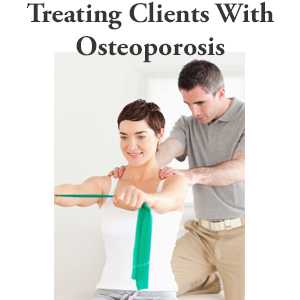 I have many clients who find that very challenging. If you are one of those individuals that finds the lift of a leg a very hard exercise, something that helps as a cue is for you to think about squeezing your buttock in a gradual progression. You are going to think of tight, tighter, tightest, and that tightest part is when you’re trying to lift your leg off the floor. That’s it for the alternating leg lifts exercise in prone position. I have bought your books and am looking forward to receiving them so I can get started in ernest! 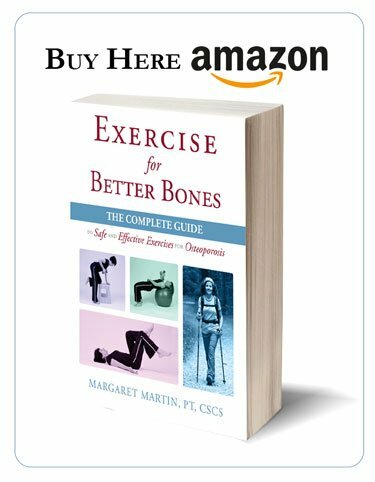 Hi Jennifer: Thanks for purchasing Margaret’s books! Good luck with the program(s) and let us know how you are doing.